English Excel offers a completely interactive programme that students love. All classes are 1.5 hours. 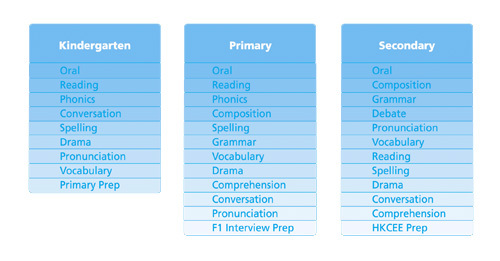 We develop Individual Learning Plans (I.L.P.s), focusing on the specific needs of each student. We do not offer “one-size fits all” courses.